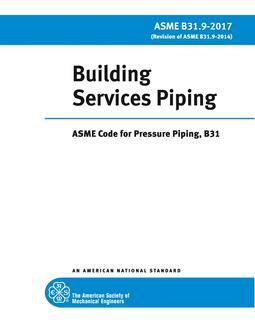 This Power Piping Code is one of several Sections of the American Society of Mechanical Engineers Code for Pressure Piping, B31. This Section is published as a separate document for convenience. Standards and specifications specifically incorporated by reference into this Code are shown in Table 126.1. It is not considered practical to refer to a dated edition of each of the standards and specifications in this Code. Instead, the dated edition references are included in an Addenda and will be revised yearly. 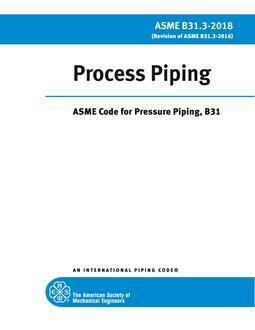 This Code prescribes requirements for the design, materials, fabrication, erection, test, inspection, operation, and maintenance of piping systems. Piping as used in this Code includes pipe, flanges, bolting, gaskets, valves, pressure-relieving valves/ devices, fittings, and the pressure-containing portions of other piping components, whether manufactured in accordance with Standards listed in Table 126.1 or specially designed. It also includes hangers and supports and other equipment items necessary to prevent overstressing the pressure-containing components. 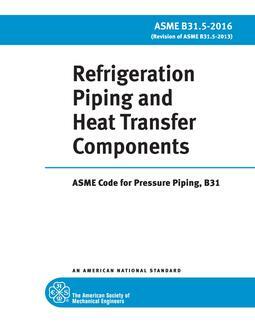 Rules governing piping for miscellaneous appurtenances, such as water columns, remote water level indicators, pressure gages, gage glasses, etc., are included within the scope of this Code, but the requirements for boiler appurtenances shall be in accordance with Section I of the ASME Boiler and Pressure Vessel Code, PG-60. The users of this Code are advised that in some areas legislation may establish governmental jurisdiction over the subject matter covered by this Code. However, any such legal requirement shall not relieve the owner of his inspection responsibilities specified in para. 136.1.